Here are 4 memes most Republicans don’t want you to see – particularly in the wake of yet another mass shooting. 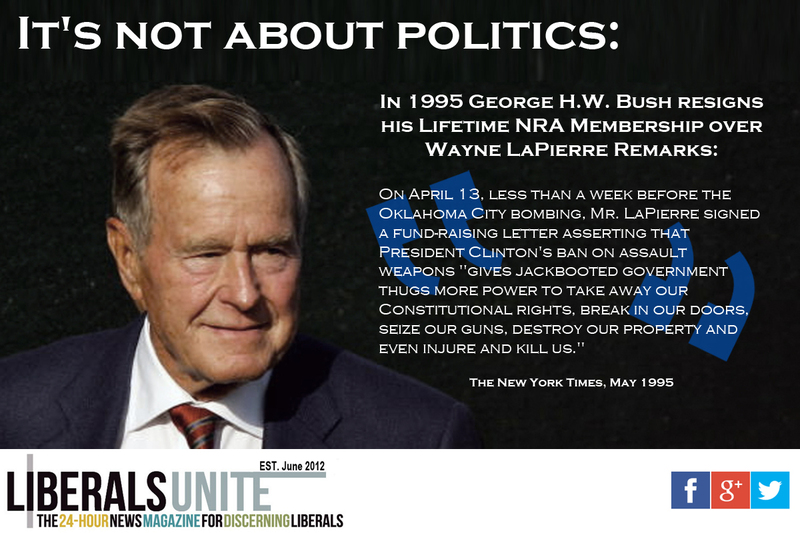 On May 3, 1995, George H.W. Bush sent a letter to the National Rifle Association (NRA) informing them that he was resigning his Lifetime Membership in the organization. 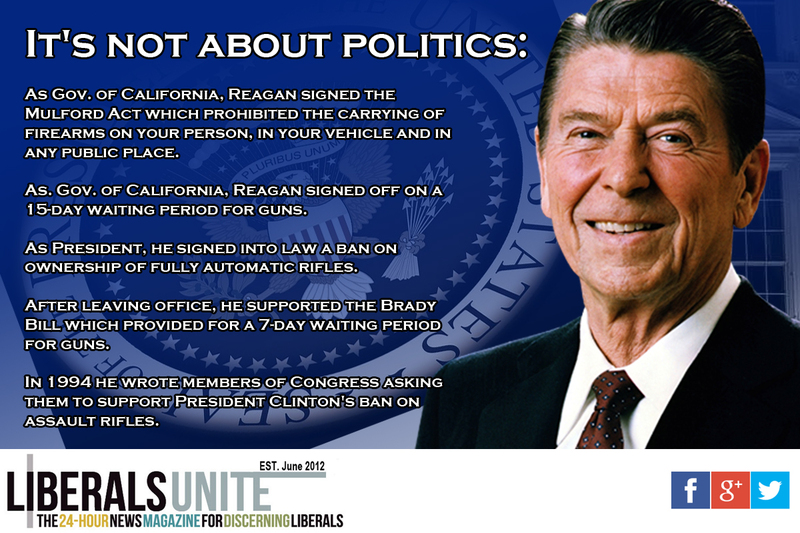 Ronald Reagan, the hero of today’s Republicans – particularly those of the Tea Party persuasion – had a decades long commitment to common-sense gun legislation spanning from his time as Governor of California through his post-presidency years. As governor of California, Ronald Reagan signed the Mulford Act in 1967, which prohibited the carrying of firearms on your person, in your vehicle, and in any public place or on the street, and he also signed off on a 15-day waiting period for firearm purchases. 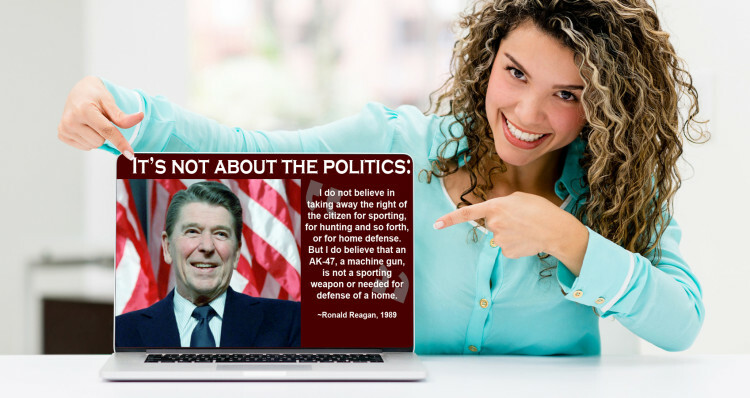 “There’s no reason why on the street today a citizen should be carrying loaded weapons,” Reagan said at the time, according to Salon.com. 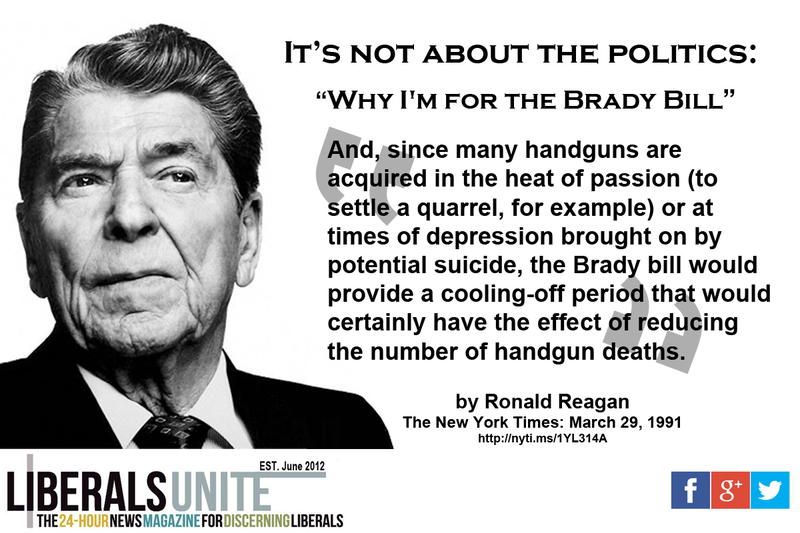 After leaving the presidency, he supported the passage of the Brady bill that established by federal law a nationwide, a uniform standard of a 7-day waiting period for the purchase of handguns to enable background checks on prospective buyers, writing a 1991 an Op-Ed piece in the New York Times stating his support for the Brady Bill and noted that if the Brady Bill had been in effect earlier, he never would have been shot. He also urged then President H.W. Bush to drop his opposition to the bill and lobbied other members of Congress to support the bill. 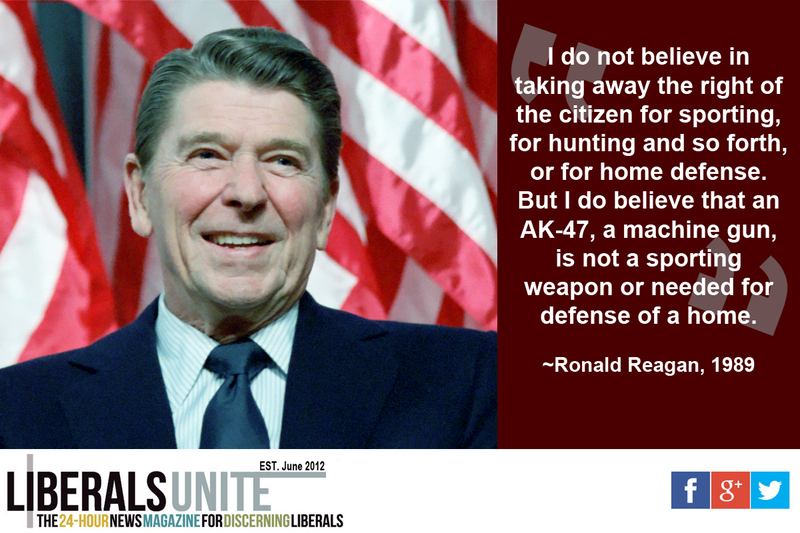 In 1994, Reagan wrote to several members of Congress urging them to listen to the American public and to the law enforcement community and support a ban on the further manufacture of military-style assault weapons. That law, the Public Safety and Recreational Firearms Use Protection Act, informally known as the Federal Assault Weapons Ban, was signed into law in 1994 by President Bill Clinton and remained in effect for ten years.